Well, that is what happened in the reading I received from a savant living in India who was working with an ancient system of divination. In that reading I reconnected with the ongoing stream of my life. I recognized once more an innate sense of purpose within me that had become blurred and unsure. And one of the issues that came up in the reading was that I had a gift and I was going to start using that gift, giving readings to others, to help them find their way through life more clearly. I was informed that a system was going to come into my life that I would work with, write books about, and introduce to people all over the world, and that what came through me would change their lives forever. The savant suggested that I should get ready for this new system by immediately starting to practice reading for people — I should find a system, any system, through which I could reflect people back to themselves and practice telling them what I saw, so that I would be ready when the “new” system showed up. I was introduced to hand reading, or palmistry, and went from there, exploring and practicing in every ancient wisdom tradition and system of divination I could find. The “new” system that the savant foretold is Human Design, which came into being eight years after the reading I received and into my life six years later, in 1993. I immediately recognized it as the system the savant had predicted, and dove into its study. I discovered the essential value in Human Design and started the task of simplifying what could be seen as a complex system, rendering it into easy, everyday language. Over the years, it has become clear to me that people benefit greatly from being aware of the keys in their Human Design Life Chart. In fact, the system has served to bring huge transformation and empowerment to the thousands of people for whom I’ve read and taught worldwide. So much has transpired since the reading I had in India all those years ago, because the clarification of my journey has resulted directly in my helping others to clarify theirs. My first book, Human Design: Discover the Person You Were Born to Be, is now out in 11 language versions and counting; the second book, The Book of Lines, is being embraced in many circles worldwide; and the third book, The Book of Destinies: Discover the Life You Were Born to Live, coauthored with my life partner, Carola Eastwood, contains descriptions of all 192 different Life Themes that are possible for our life on Earth. We have to acknowledge that massive change is going on in the world and that we are being exposed to more and more information and challenges every minute of every day. New situations come into our lives, and we have to be clear in how we deal with them. We find that trying to follow old patterns of rules and beliefs we used in earlier times no longer works. If we can adapt to circumstances through our own authenticity, present to each moment, then we find that we are in balance with life. This is what is possible through the understanding of Human Design and the realignment with our Life Theme. Human Design gives clear details on how to engage more successfully with life according to your own Human Design. Now The Book of Destinies takes you deep into the heart and soul of the meaning of your unique lifetime. It is as if you can peer into that moment when your Spirit got the vision for this lifetime and know exactly what is intended for this journey. In the kaleidoscope of human possibility, there are 192 Life Themes, and before birth each of us chooses one of them as our theme and purpose in this lifetime. 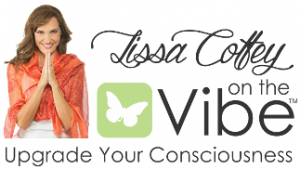 Understanding your Life Theme will bring you a profound recognition, similar to the one I had all those years ago, of the underlying premise to your life. You will come to appreciate the uniqueness of the particular path you tread, recognizing how you engage with some people and situations effortlessly but find yourself uninterested in, or even distracted by, others. You will be reminded how essential it is for you to be fulfilled in your own needs. And you will recognize how to achieve this while at the same time navigating comfortably within the lives and influences of others whose Life Themes you will also come to know and appreciate. 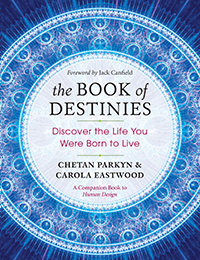 Chetan Parkyn is the author of Human Design, The Book of Lines, and most recently The Book of Destinies. He is the world’s most successful practitioner of Human Design and holds frequent workshops and seminars all over the globe. Visit him online at http://www.HumanDesignForUsAll.com. Based on the book The Book of Destinies. Copyright © 2016 by Chetan Parkyn and Carola Eastwood.